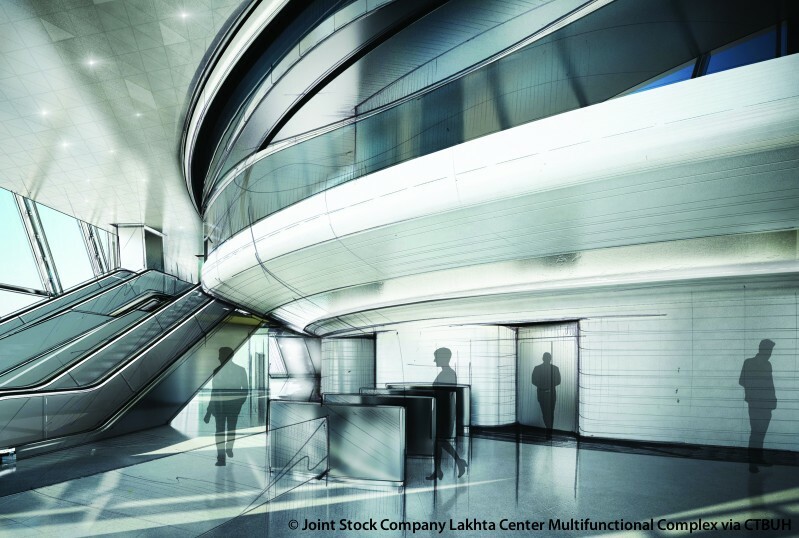 • Vertical Transportation	 Schindler;	MovvéO Ltd. 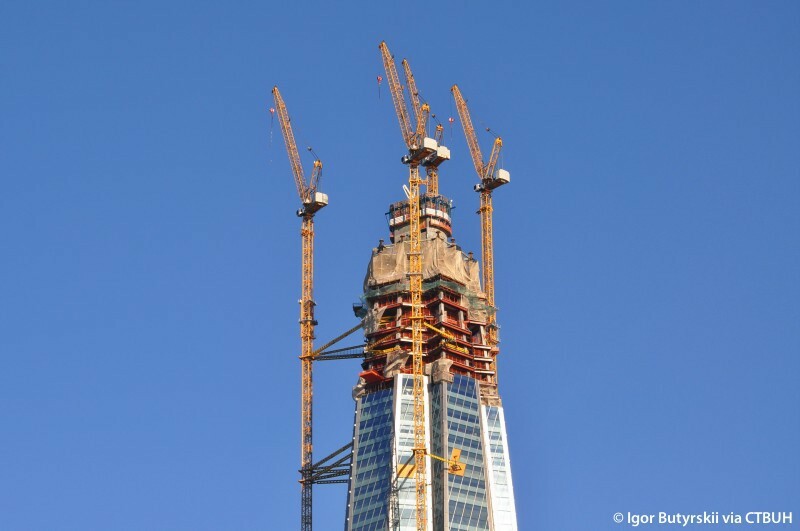 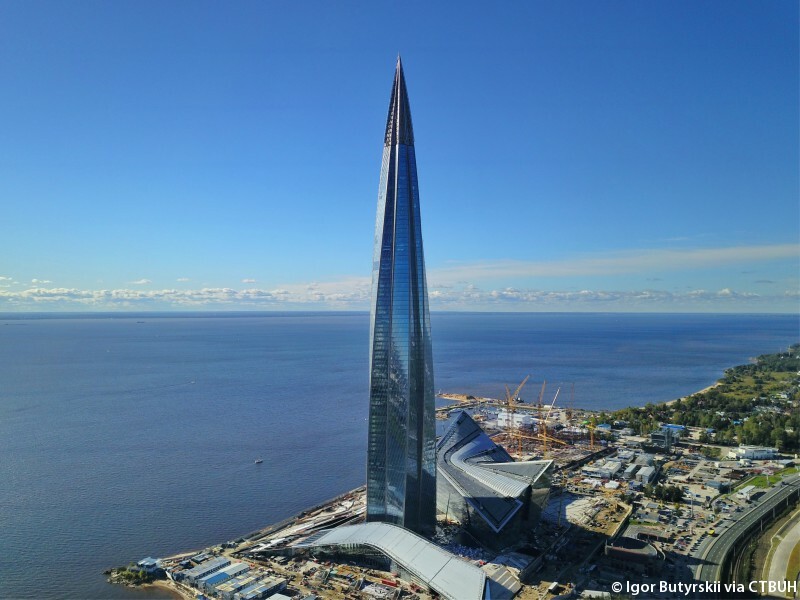 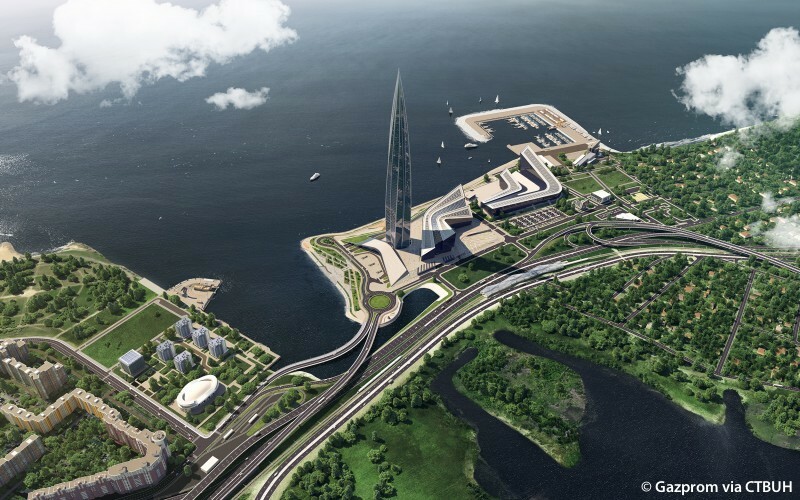 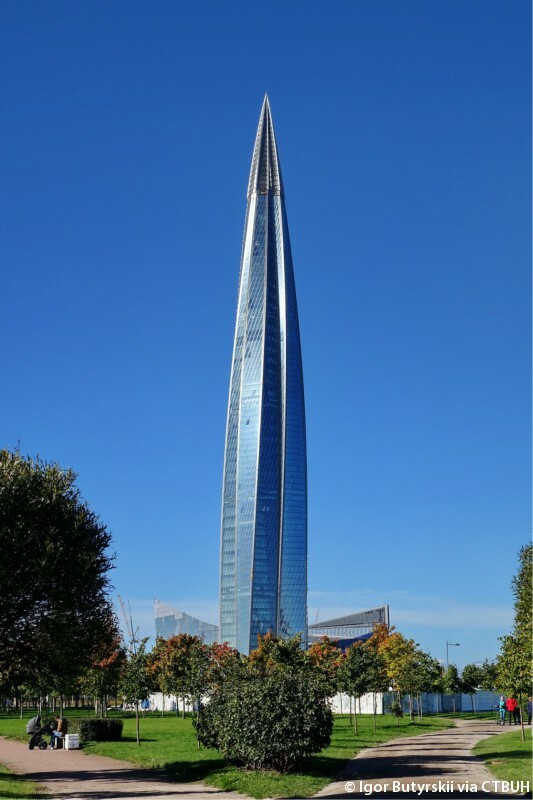 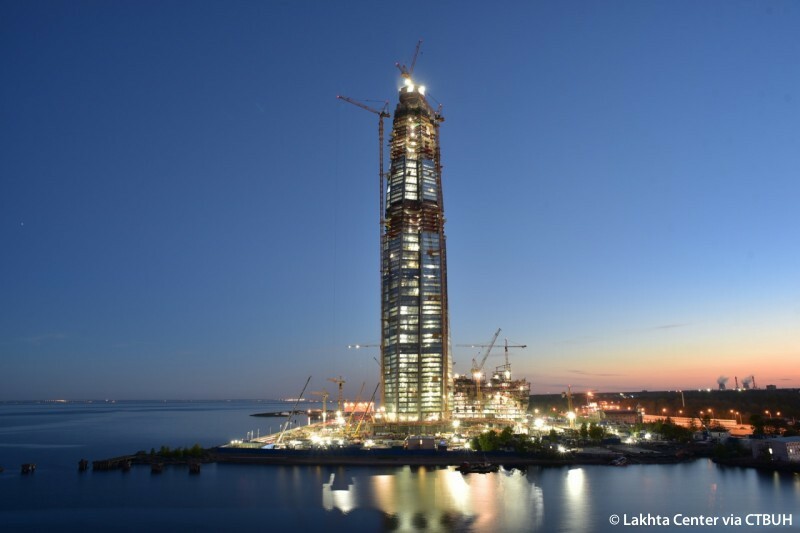 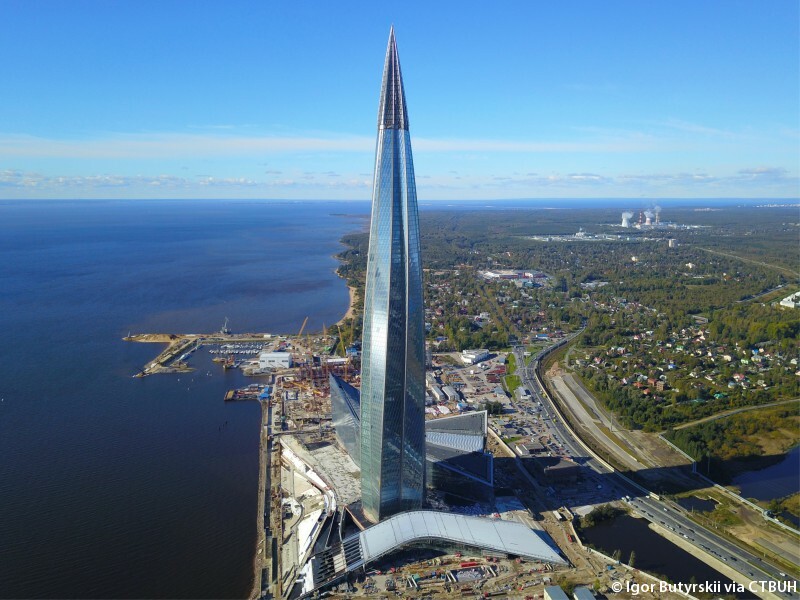 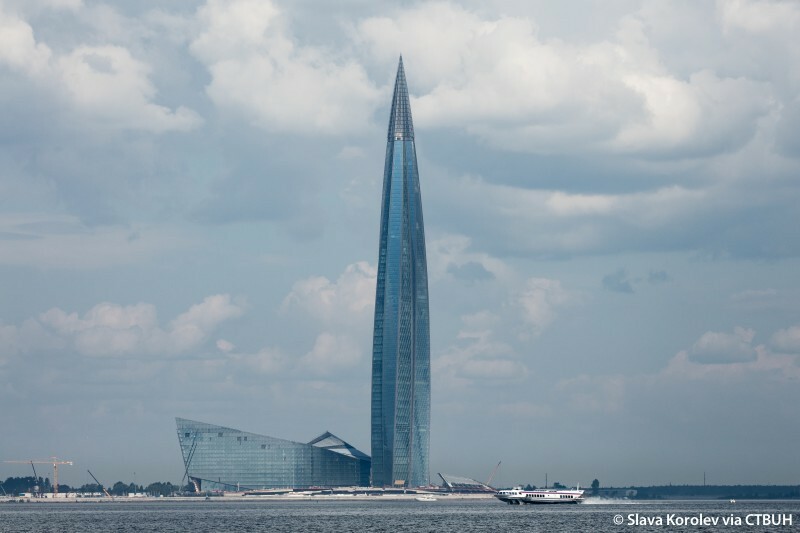 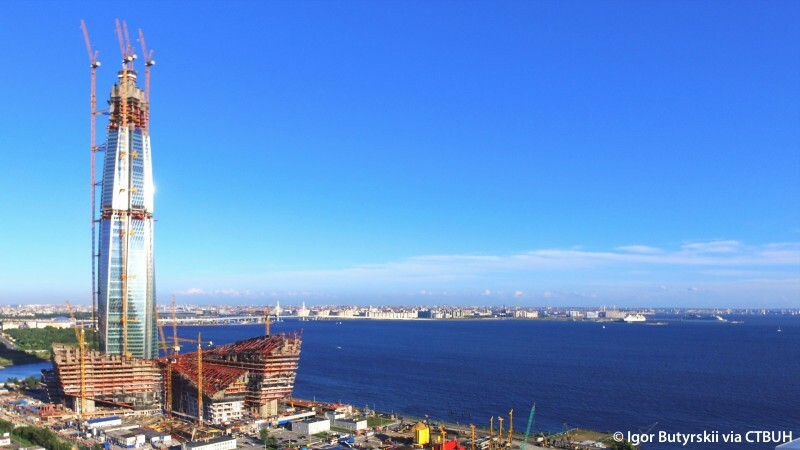 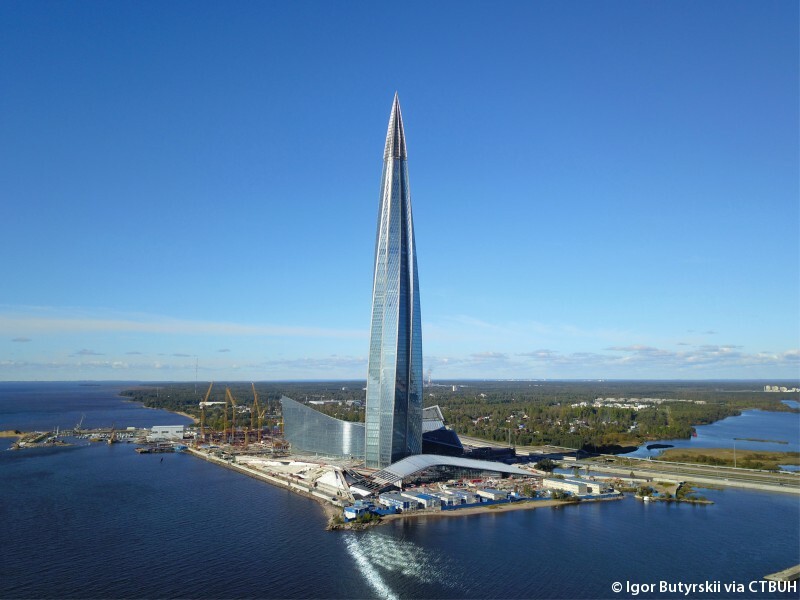 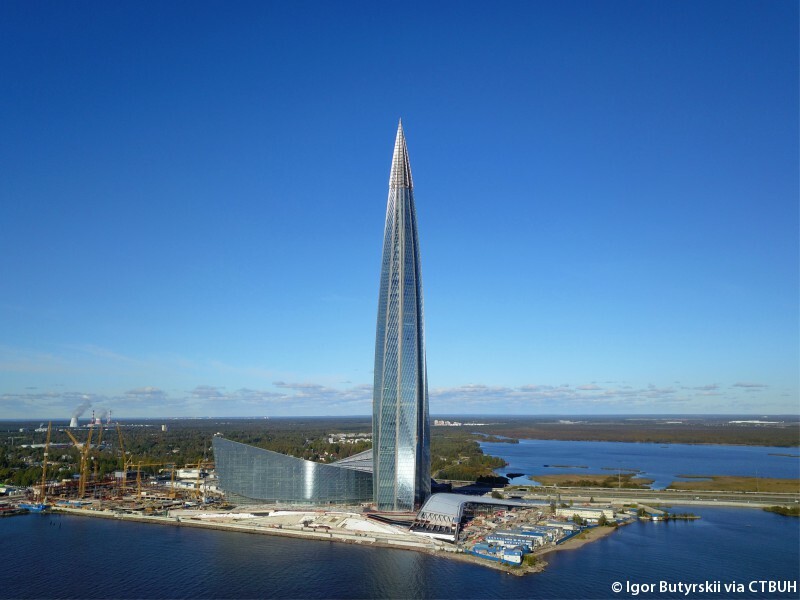 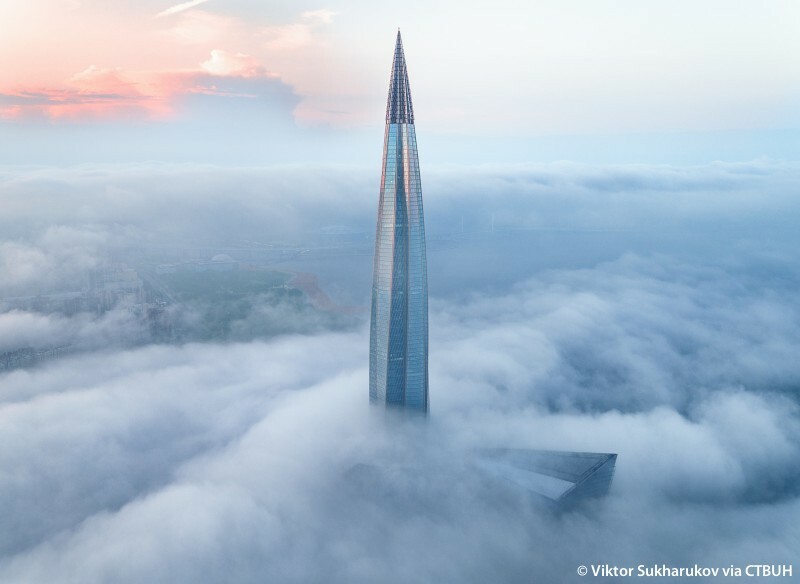 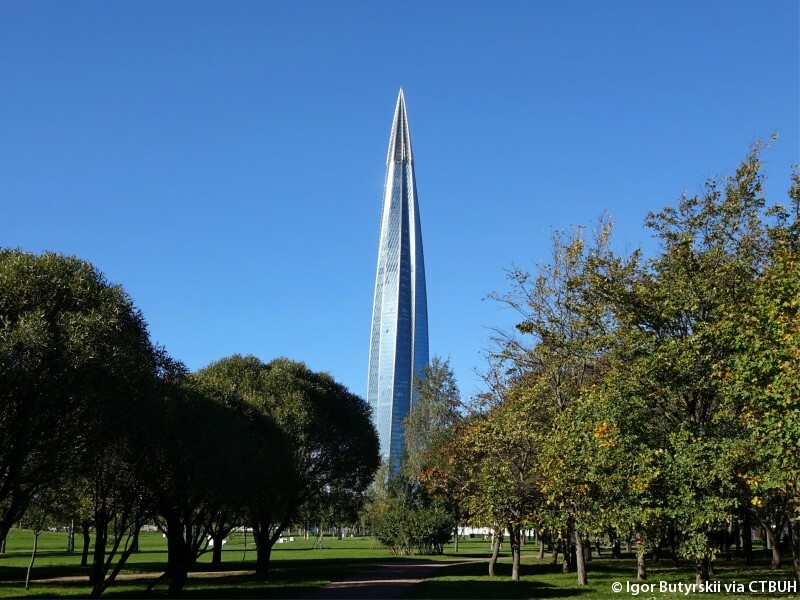 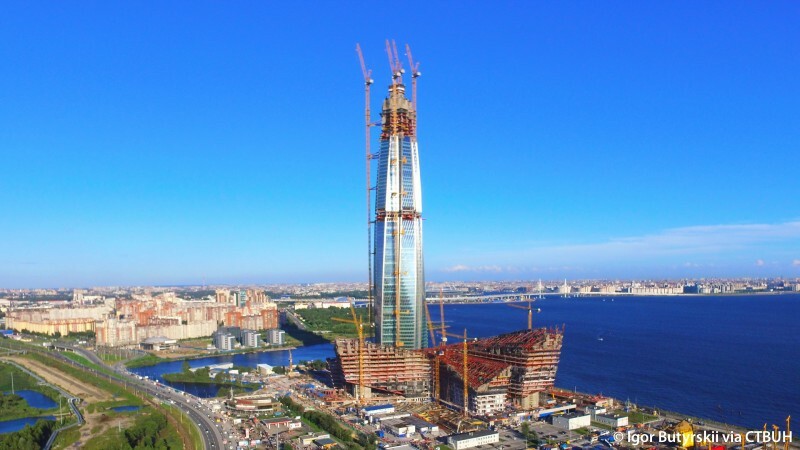 The Lakhta Center constitutes the epicenter of St. Petersburg’s Primorsky District, employing a wide range of public functions alongside transportation infrastructure in an effort to anchor a sustainable economic zone. 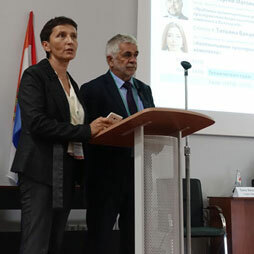 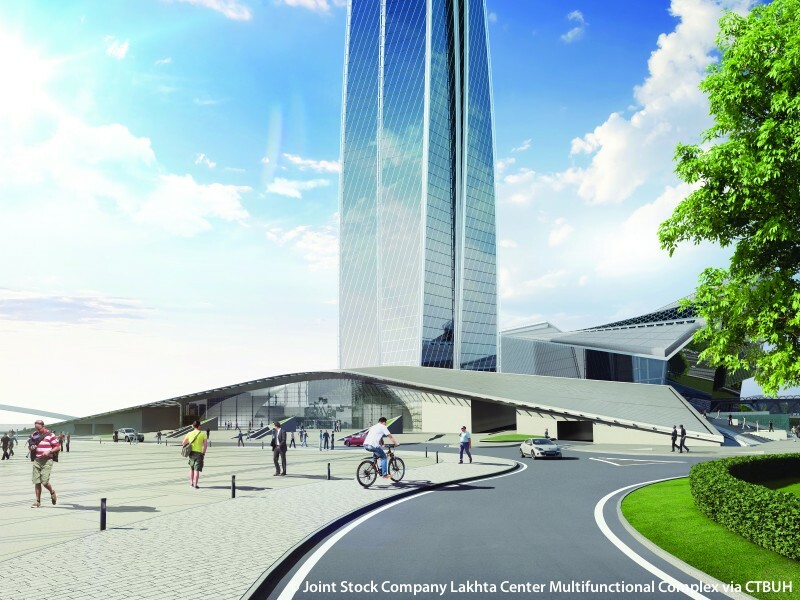 Originally planned for the historic center of the city, the project – then named Okhta Centre – garnered widespread media attention as stakeholders contended with the various impacts it would have on the image of the city. 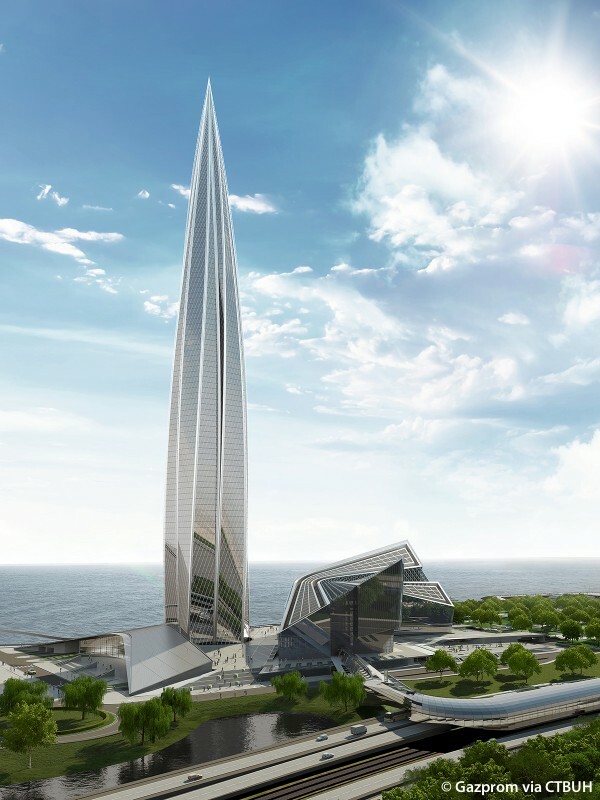 Ultimately, the tower was moved to its present location, adopting a new name and a fresh context to inform the master planned development. 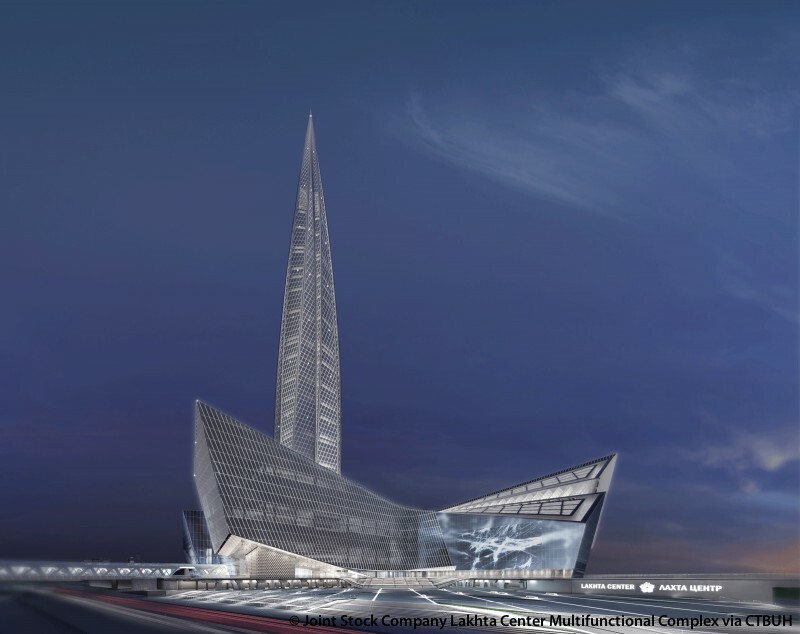 The tower will provide space for offices, as well as several public resources, including a planetarium, medical center, performance hall, and a bank. 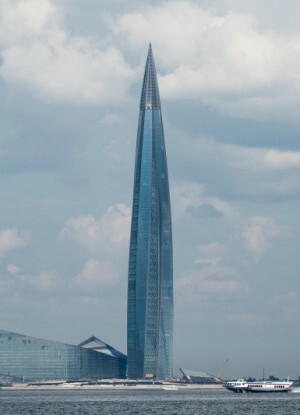 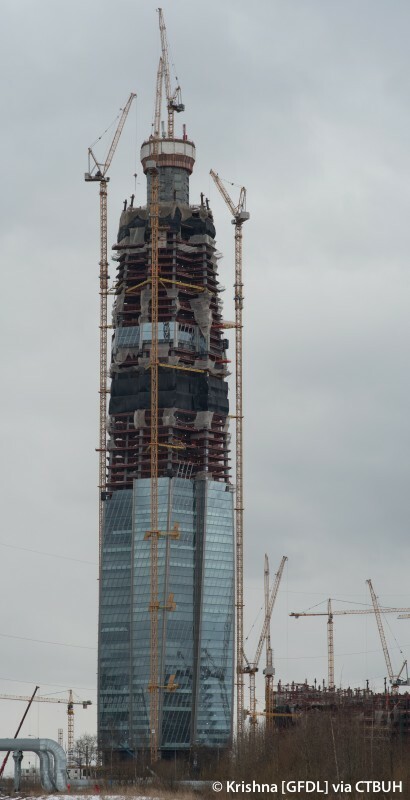 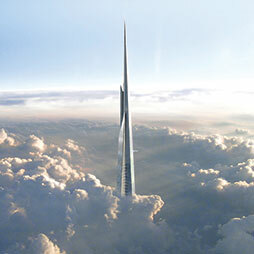 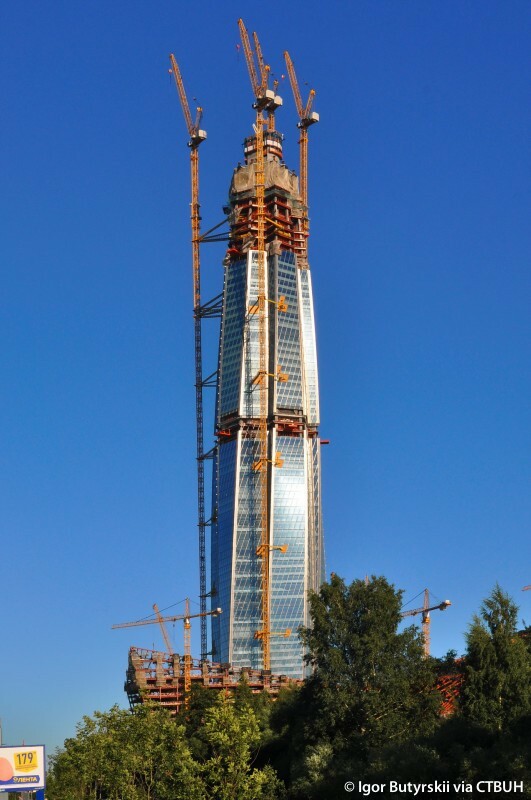 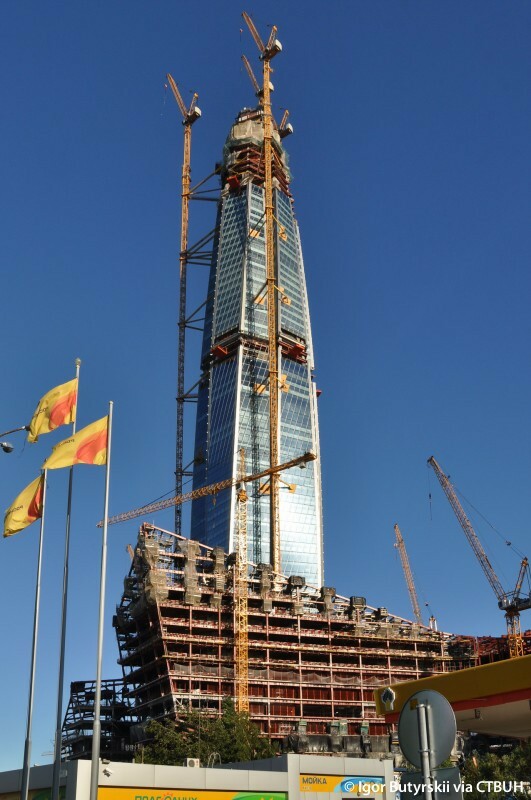 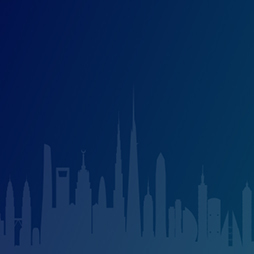 The theme of the tower's design is that of a lonely spire in a horizontal landscape, with a unique shape informed by concepts of extrusion, torsion, and tension. 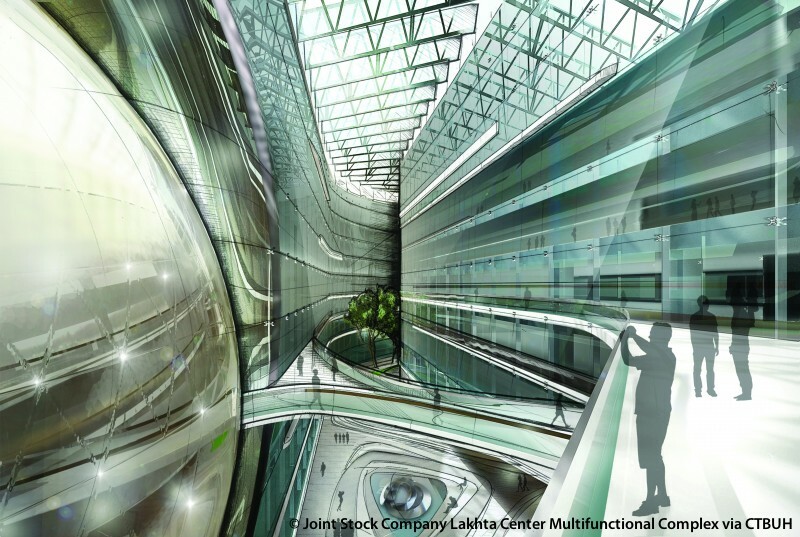 The building’s designers sought to create an optimal balance between office and public areas, ultimately conceiving a complete community within the building’s walls. 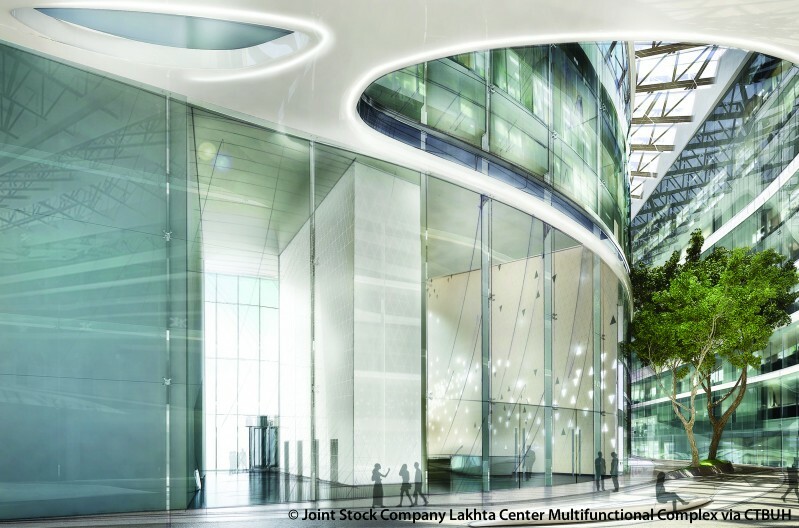 Outside of the building, the plan for the surrounding area incorporates greened and landscaped spaces. 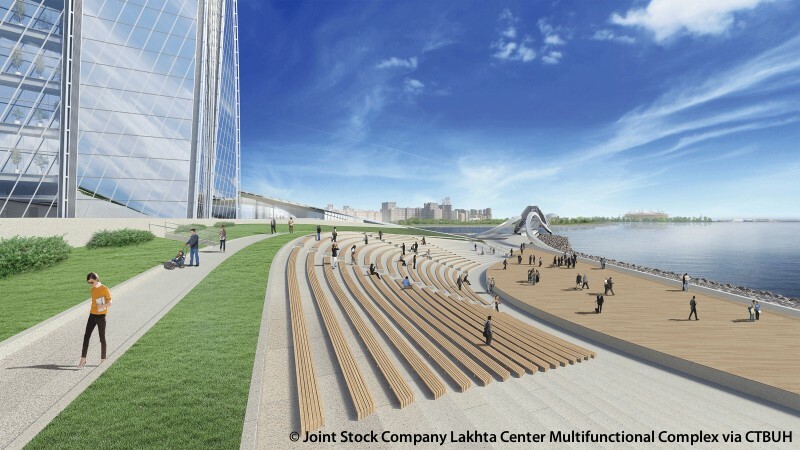 An open 2,000-seat amphitheater and green promenade with fountains, paths, and benches are all integrated into the design. 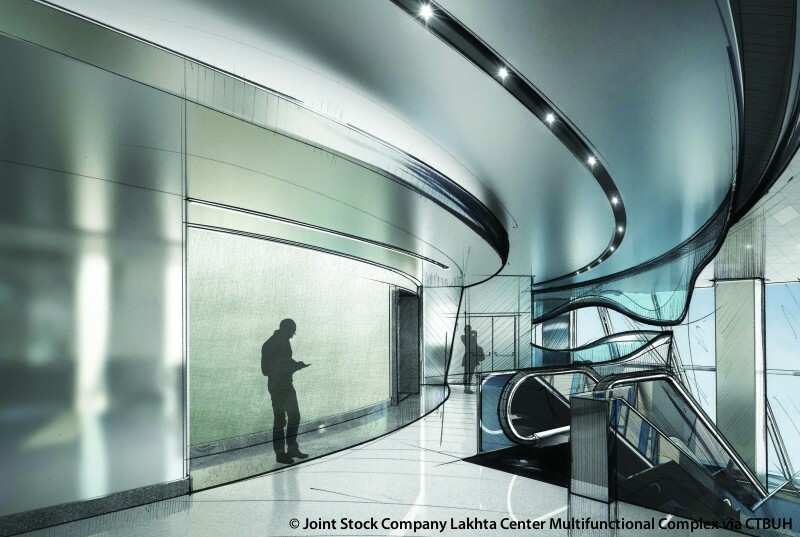 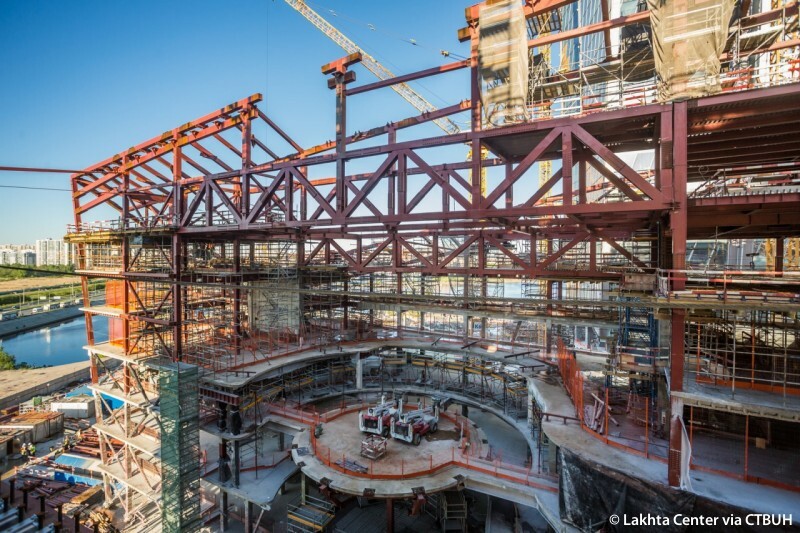 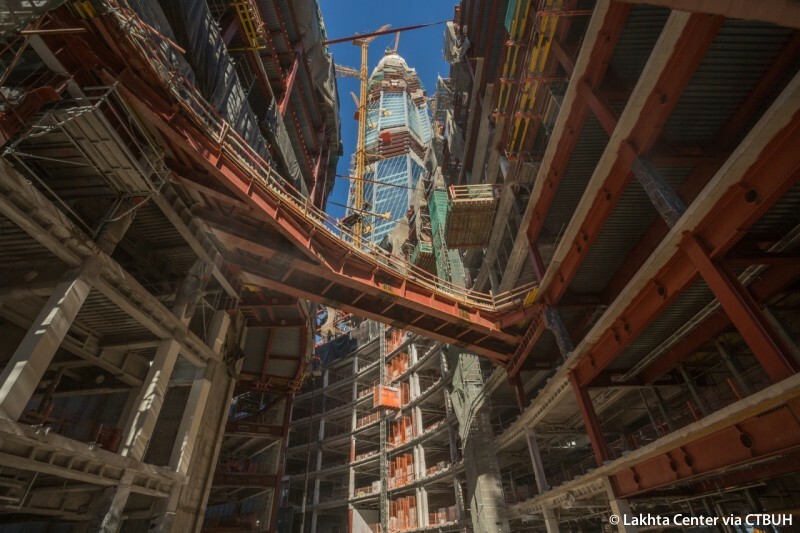 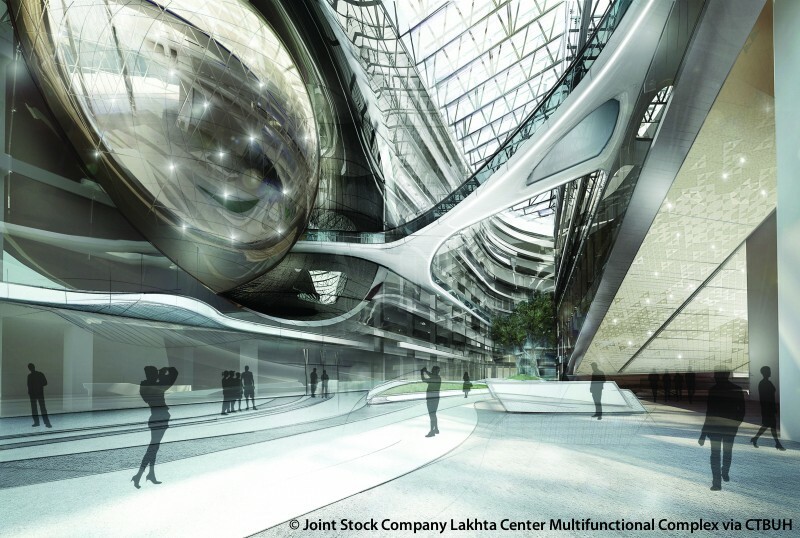 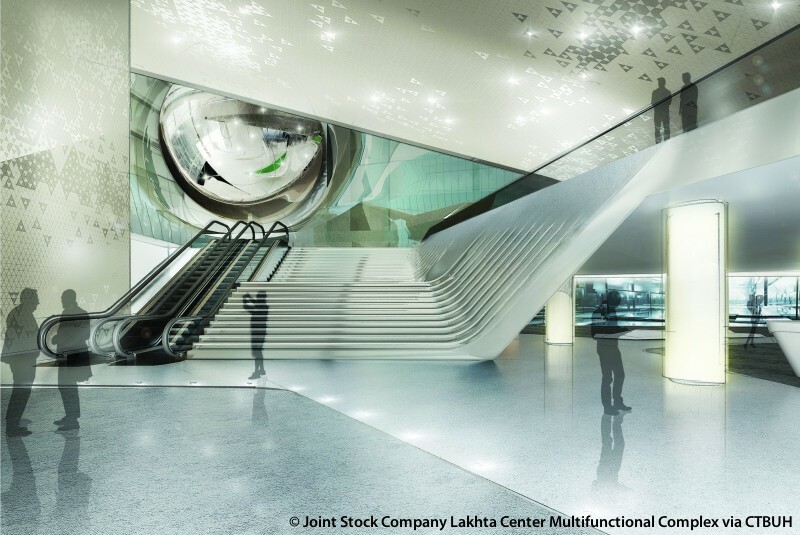 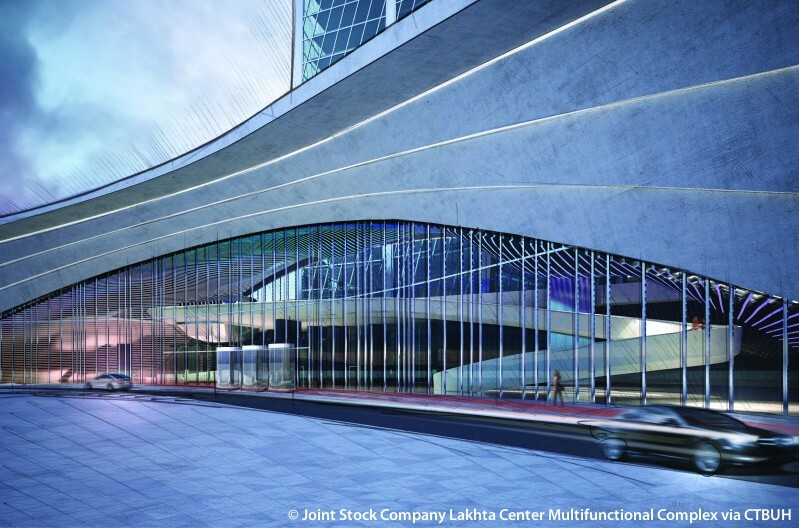 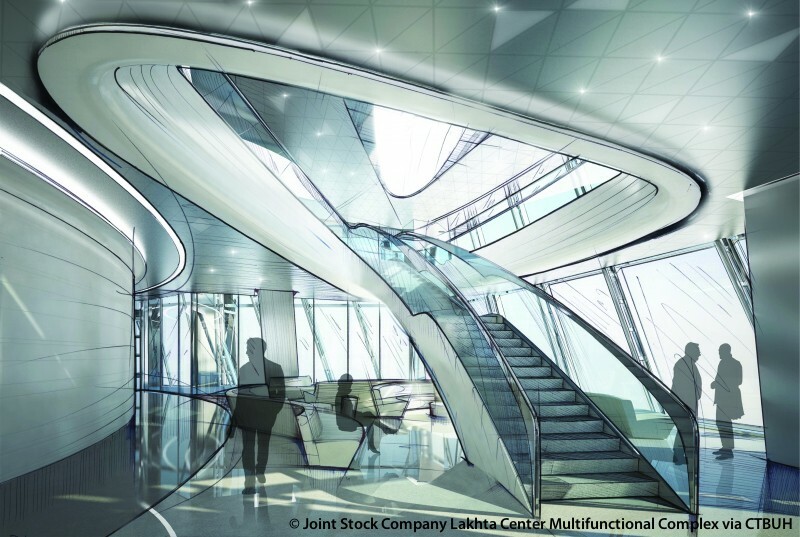 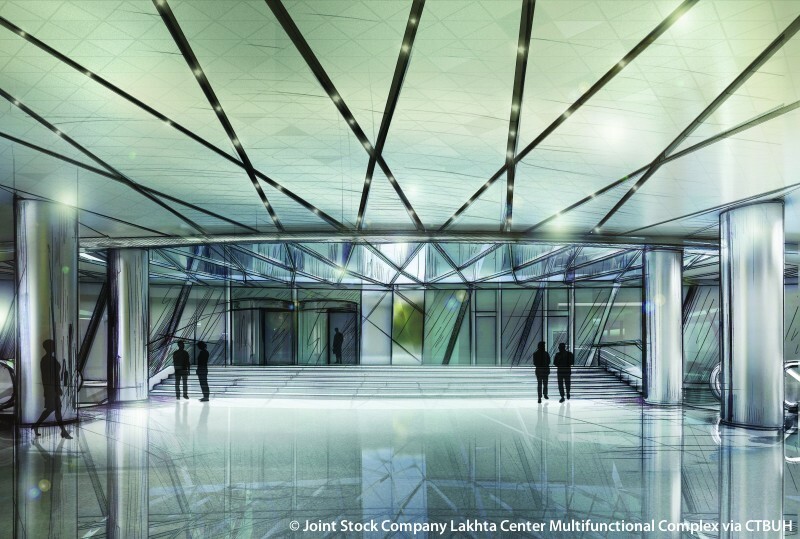 Lakhta Center incorporates a number of innovative energy-saving technologies into its design. 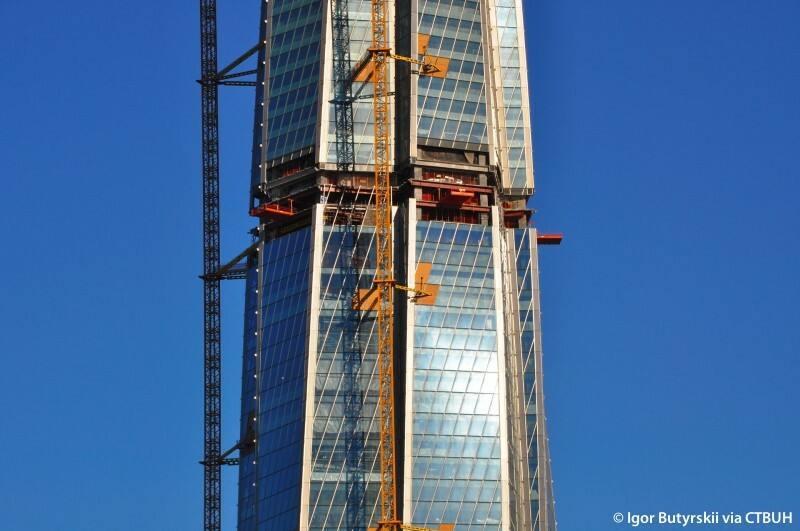 A double-glazed façade increases the level of thermal insulation, leading to a reduction in heating and air-conditioning costs. 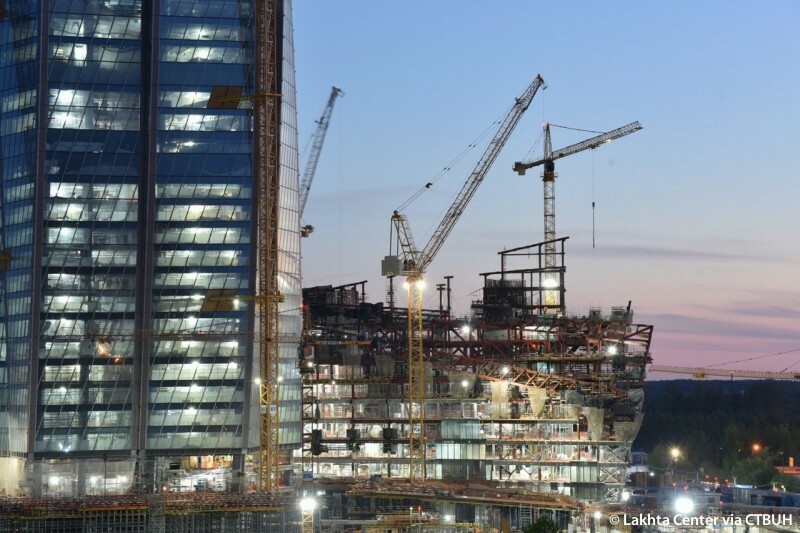 Similarly, the premises will be heated using excess heat generated from working technical equipment. 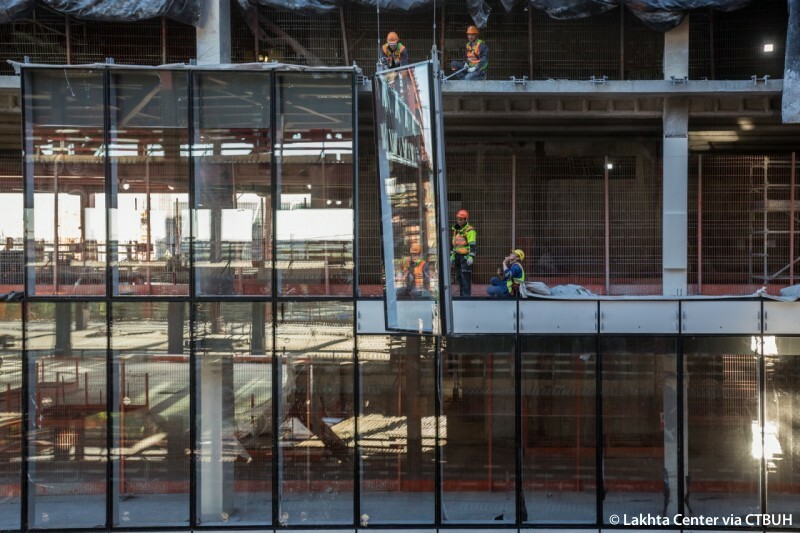 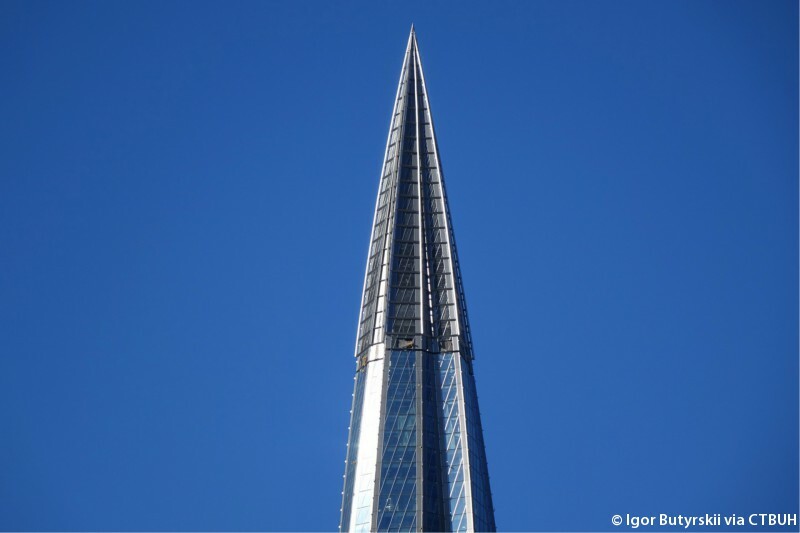 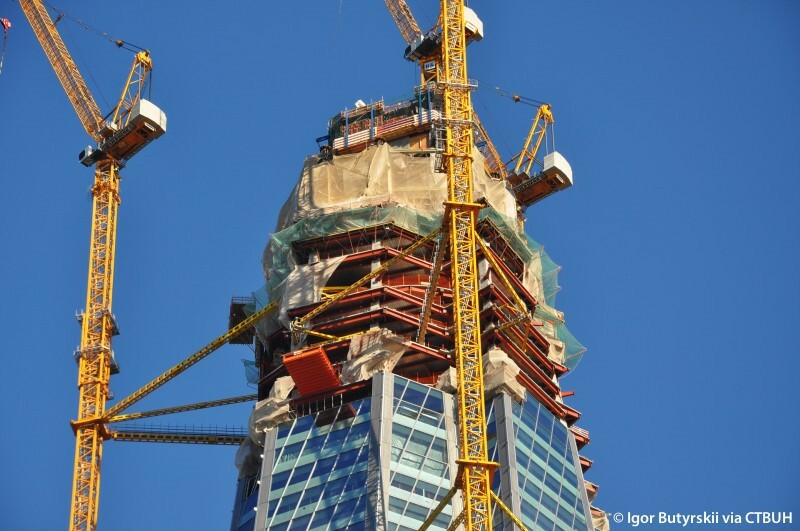 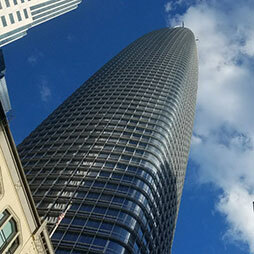 To combat the dual effects of extreme height and a harsh winter, an ice formation control system will be implemented to protect the building’s façade and passers-by below from the dangers of falling ice.